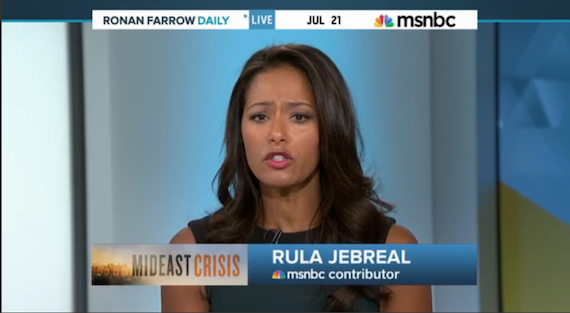 Is Rula Jebreal right about US Media Bias against Palestinians? Palestinian journalist Rula Jebreal points to the overwhelming bias in US media against the Palestinians, calling NBC to account for having tried to remove an Arab-American reporter from Gaza after he reported the Israeli navy’s deliberate killing of children on the beach. She also points to the stranglehold the American Israel Public Affairs Committee lobby has on congressional politics toward Israel. She doesn’t mention but should the pressure organizations like CAMERA, well-heeled and powerful fanatics devoted to punishing American journalists who tell the truth about Israel and Palestine. I actually think NBC is better than some others on this issue, so it is a little unfortunate that they should take the brunt of Jebreal’s understandable frustration. I don’t think either of the people she was talking to understood the problem. The show begins with Israeli PM Binyamin Netanyahu and promises more of him. No Palestinian leader is interviewed or apparently considered for an interview! It is alleged to Jebreal that her being allowed to complain on air at all is a mercy (she isn’t actually allowed to say much about the war). It is also alleged that just reporting on all the children the Israeli military has killed is somehow even-handed; in fact if the killings are represented as necessary that isn’t true. Almost no US media admits that indiscriminate fire in civilian areas is a war crime. (Rula comes in at about 7 minutes, below). There isn’t actually any doubt about US media bias against the Palestinians. Yousef Munayyar looked at CNN’s coverage of the 2012 Gaza flare-up. As Greg Philo notes below, it isn’t just a matter of who is interviewed and how often, though that is important. It is also a matter of history and context. From most American media you would assume that the Israelis were minding their own business and the Palestinians of Gaza just irrationally started firing rockets at them. With rare exceptions, we aren’t told that most truces have been broken by Israel, not Hamas. We aren’t told that over 70% of Gaza’s population used to live in Israel and was ethnically cleansed and left penniless. We aren’t told that Israel has a blockade on Gaza that does not allow it to export most of what it produces, that this blockade has thrown 40% of the working population into unemployment and left 56% of families food insecurity (just on the verge of going to bed hungry). We aren’t told that Israeli occupation has left 90% of [the strip’s aquifer non-potable] people in Gaza without potable water. * We aren’t told that Gaza’s Palestinians demand an end to being kept in a big concentration camp. 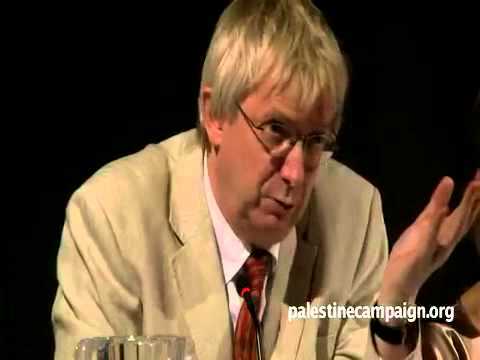 If Israelis were being treated as the Palestinians are, what do you think they would do about it? *The original wording here, now crossed out, was an error pointed out to me by Politifact. Juan Cole regrets the error.